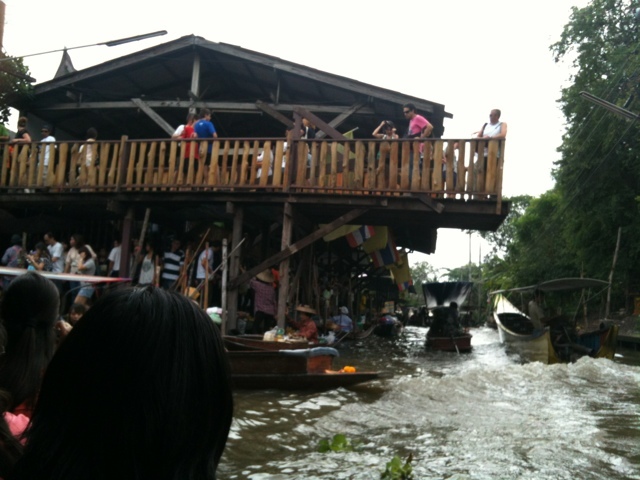 This morning we headed to the must visit Damneon Floating Market. Yes, all the touristy stuff. 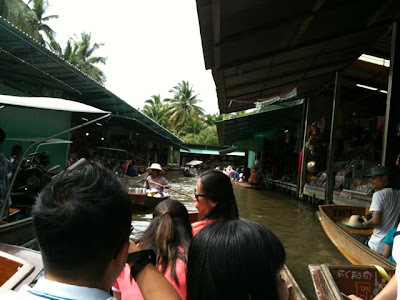 Our tour cost us 800 baht per person booking it from the hotel that we were staying at. Taking Huai Bin's advice, we did just that and forwent trying to catch a taxi to the floating market. I got up at 5.30am and quickly got changed. We had requested for the hotel to pack our breakfast, so it was just a set of sandwiches and tetra packed juice on the go. One of the travellers said that saffron can be used for making risotto and paella Milanese. I also had not once but twice having a go at the coconut ice cream. 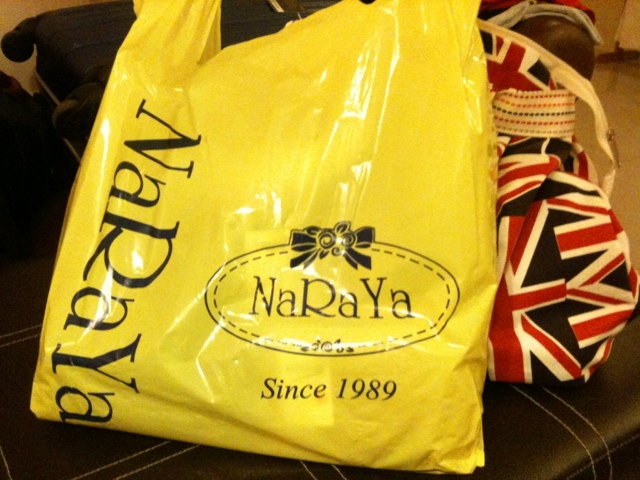 It was just 30 baht. 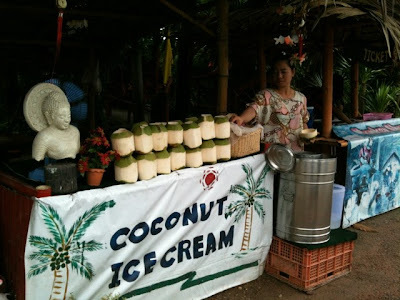 It was basically coconut ice cream served in a cut out coconut with scraped flesh. 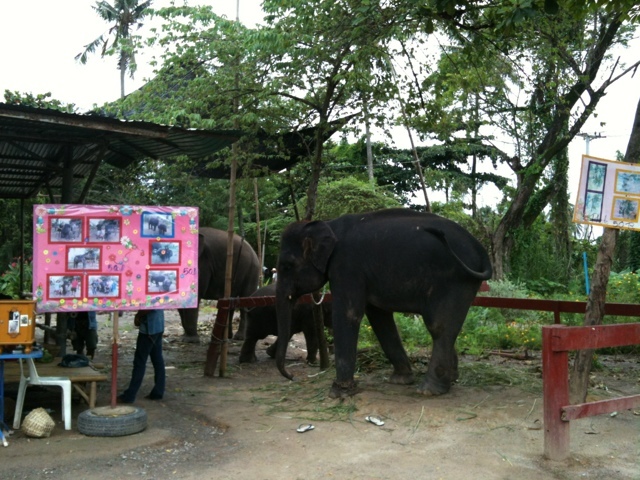 Our tour included a trip to the elephant park, where one ride costs 600 baht per person. I didn't take that up as I wasnt too keen on getting myself sweaty and hot climbing elephants. A picture standing just with the elephant would cost 50 baht though. The following place after was a snake show. Tickets cost 250 baht. 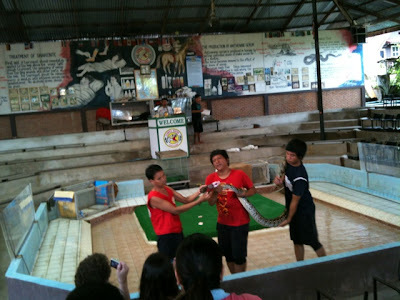 If you are an animal and snake lover, I would not recommend you to watch the show. I thought it would be a snake charmer performance, but if you want to see snakes being aggravated and abused, by all means go ahead. Watching the snakes being put on show in that way made me feel sad for those slithery creatures. 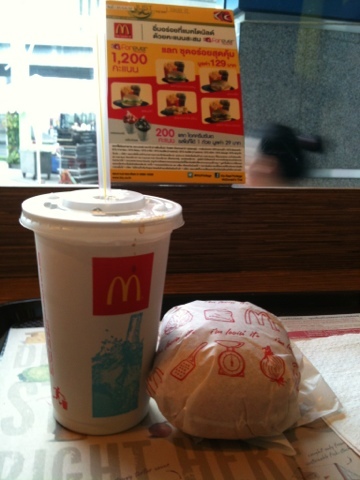 Where I had lunch at McDonalds and then headed off to NaRaYa. 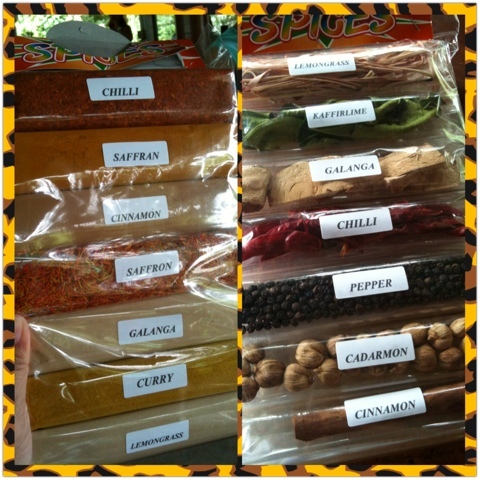 Surprisingly the items weren't too expensive. The most expensive purchase for today was this 90 mins massage about ten mins walk from Sukhumvit/Asok, less than five mins from Koreatown. It was 700 baht for 90 mins aromatherapy massage near Robinson, and we thought it was fairly cheap. However the massage was rendered in a so so manner. The therapist kept on chatting throughout the massage which was really annoying. I doubt I will visit that place ever in future anyways. 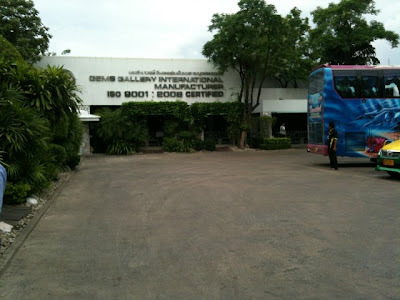 So just because it is in Thailand, doesn't mean that they are good. For more updated news on floating markets in Thailand, check out this link from All The Rooms. 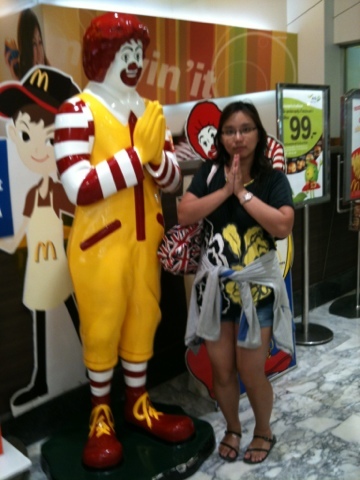 I recently went to Thailand. But didn't see any snake. Thankfully, lol.